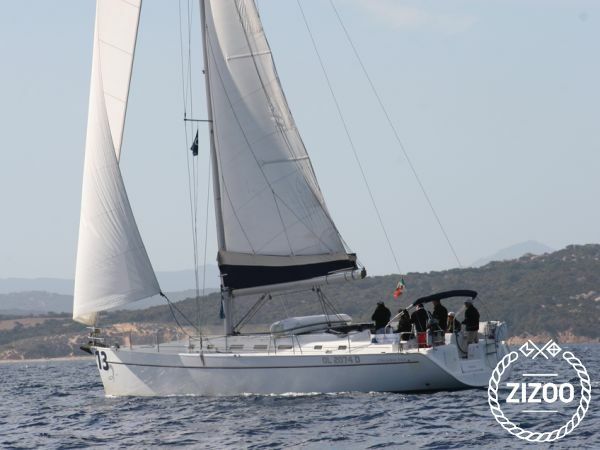 This Beneteau Cyclades 50.5 sailboat, built in 2006 is an excellent choice for those wishing to experience a new sense of freedom in style and comfort. Wake up to the sound of the sea in one of the Beneteau Cyclades 50.5’s 5 spacious and modern cabins. Sleeping up to 13 people, this sailboat is perfect for sailing with friends and family. The Beneteau Cyclades 50.5 is located in Marina di Portisco (Olbia), Portisco - Sardinia, a convenient start point for exploring Italy by boat. Happy sailing. Danke danke für den tollen Service. Wir hatten einen super Urlaub alles war wie beschrieben und das boot in bestem Zustand. Kann ich nur empfehlen.